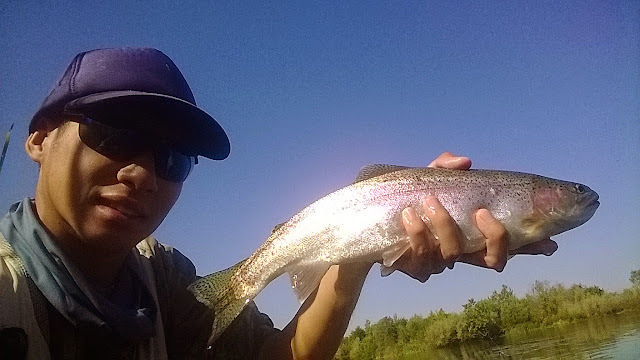 It was reported from Fish First Fly Shop that spring-run steelies were still in the low-flow of the Feather River. They were said to be eating midges and caddis pupa. My new waders and boots were delivered yesterday and steelhead fishing the Feather was the best way to test them. I hooked three but only landed one. Amazing how chrome these fish are despite being in the water since spring. My waders and boots worked great. They fit a little tight but unless fishing for steelhead, I won't be wearing them too often. Today was a fun little excursion.